This gift is simply sublime and is sure to get her heart skipping a beat! 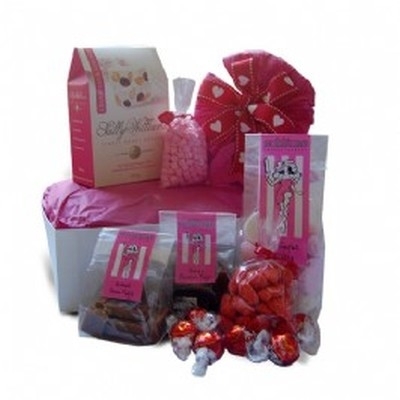 A sturdy white box that she can keep things in afterwards filled with a box of Sally Williams cranberry and almond nougat, Romantics sweets, Sublime meringue kisses, Sublime caramel fudge, Sublime chocolate fudge, 6 melt-her-heart Lindt chocolates and some juicy jelly sweets. There is a minimum R69.00 delivery charge. Allow for 1 to 2 working days to reach the recipient. It is important to note that we cannot guarantee a specific time of delivery on the requested day. Unfortunately we are unable to deliver this product with flowers or other products. No deliveries on Saturday, 27 April 2019 due to Freedom Day. No deliveries on Wednesday, 1 May 2019 due to Workers Day. 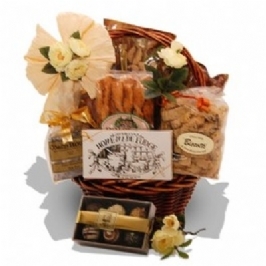 All our hampers are made up by our experienced staff. Although every effort is made to replicate the image displayed on our website identically, there may on occasion be a slight variation. Please note that all hampers are made up in a warehouse containing nuts. 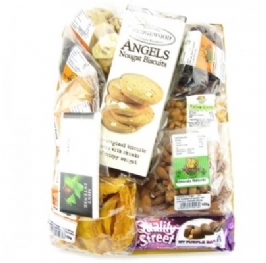 All our hampers are delivered by an independent courier company and delivery dates vary based on the delivery area. Sweet Bouquet aims to create new and unique experiences that combine sweets and chocolates with flowers and other gifts. 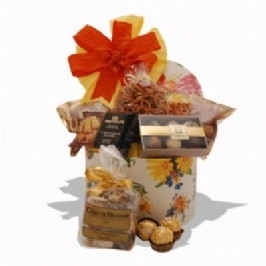 We create floral designs made from a variety of quality pralines, jelly candies and other delicious sweets. The candy is packaged in a unique way to appear like a real, fresh and colourful bouquet of flowers. While real flower bouquets wilt or dry out, a Sweet Bouquet will last much longer, require no treatment and best of all are edible. Although it is possible to enjoy the sight and taste over time, we guarantee that the experience is hard to resist. Most bouquets come in a beautiful container that can be reused in the future. We guarantee the highest quality, while still providing a personal service at a high standard and affordable price. To ensure the utmost quality and freshness, all candy is treated in such a way that they can be enjoyed by our clients for longer. Our fast, low cost delivery system allows customers to order and send fresh products country wide. 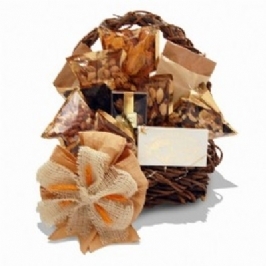 We offer a variety of unique gifts for every moment of life - home, office, and special occasions such as holidays, births, birthdays, weddings or just pampering and expressing love. We will have the appropriate product to suit any event. Additionally, you can create and adjust a variety of unique gifts for companies. With us, you will find a great diversity of products which vary by season, occasion and price. We are proud of our loyal customers, and therefore devote much effort to give the best service.